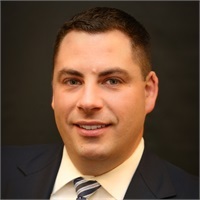 Peter Milillo joined Commonwealth Financial Group through the merger with MassMutual Northern New England in 2017, where he had been since April of 2014. Prior to working at MassMutual Peter ran a successful financial services practice at Northwestern Mutual for eight years. Peter made the decision to move his practice to Commonwealth Financial Group because of the firm’s outlook on comprehensive financial planning. He was drawn to their open architecture platform and culture of holistic planning. Peter handles every client with a customized approach, implementing new strategies that put them on the path to financial confidence. His process allows them to see their financial situation through a different lens, and helps them to make impactful decisions for themselves and their family. Peter graduated from the University of New Hampshire in 2006, with a degree in Finance. He maintains his Chartered Life Underwriter (CLU) and his Certified in Long-Term Care (CLTC) designations. Peter currently resides in Bedford, New Hampshire with his wife Shannon and their two daughters Madelyn and Brooklyn. In his spare time Peter enjoys playing golf and traveling.